Dr. Opladen is a trained Pediatrician with special focus on neurometabolic disorders. After two years training at the Technical University Aachen he spent two years as postdoc in the department of Clinical Chemistry at the University Children’s Hospital Zürich (Prof. Nenad Blau). His research focus was inborn and acquired errors of folate metabolism. To continue his pediatric training he moved to the University Children’s Hospital in Heidelberg. He extended the research focus from folate disorders to the inborn disorders of pterins and biogenic amines. He developed and optimized diagnostic tests for the diagnosis of inborn errors of tetrahydrobiopterin (BH4) metabolism. He analyzed clinical, biochemical and treatment data of the so far largest cohort of patients with BH4 deficiencies. In 2008 he finished his pediatric training and did degrees on Pediatric Metabolic Medicine, Pediatric Intensive Care Medicine and Child Neurology. 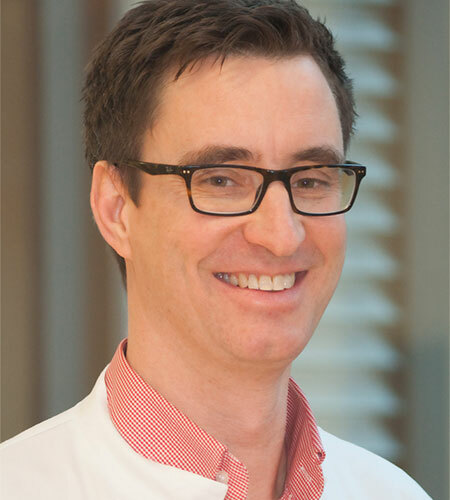 In parallel to his clinical training he finalized his Habilitation on the topic of Inborn errors of Neurotransmitter, Pterins and Folate and became Assistant Professor at the University Heidelberg. He founded the iNTD network (International Working Group on Neurotransmitter related Disorders) and established the iNTD patient registry.